The shower valve is a crucial part of the shower unit. It controls the water pressure, flow and temperature. 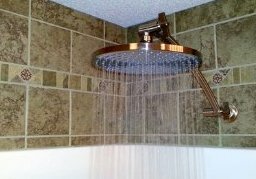 When redesigning an old shower or installing a new one, it is essential to consider what kind of setup and valve you want. This is significant because you will be making use of it for a long time. You have several options from which to choose, and despite the fact that they are different, all of them are useful. Decide whether you will need the thermostatic shower valve that restricts fluctuations in water temperatures. This will be a good idea if the water temperature is normally affected when somebody uses water in a different part of the house. If you don’t have such an issue then a pressure balanced shower valve is the best choice. It controls the pressure, and also maintains a fairly steady temperature. There are also some other types of basic valves available. However, they don’t give you real control over the water changes in your home. Look at the shower valve options within the category that you selected, either thermostatic or manual. Narrow your choices further depending on how much control you desire over pressure and temperature. You can actually be equipped with three controls. The more controls you have installed, the better the adjustment of your shower. Consider whether you will require more than a single water outlet. If you only require a shower head, then a single outlet is fine. Having more than one outlet provides you with more options, such as a handheld shower jet or nozzle. If the shower faucet starts to leak or water is hardly coming out, your shower valve assembly needs to be replaced if you have used it for such a long time. 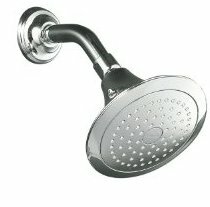 Although there are numerous kinds of shower valves, it’s basically the same procedure when it comes to replacing them.